When I asked a question on Stack Overflow Meta I was told to just wait when things like this happen. I am happy to, but is this the best process? Clicking on the next badge 'loading bar' tells you what's wrong. 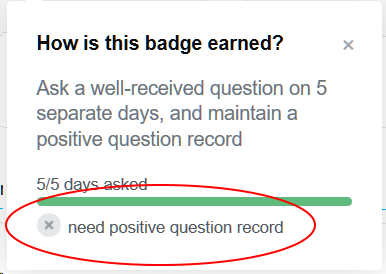 "maintain a positive question record" - that criterion is not met. 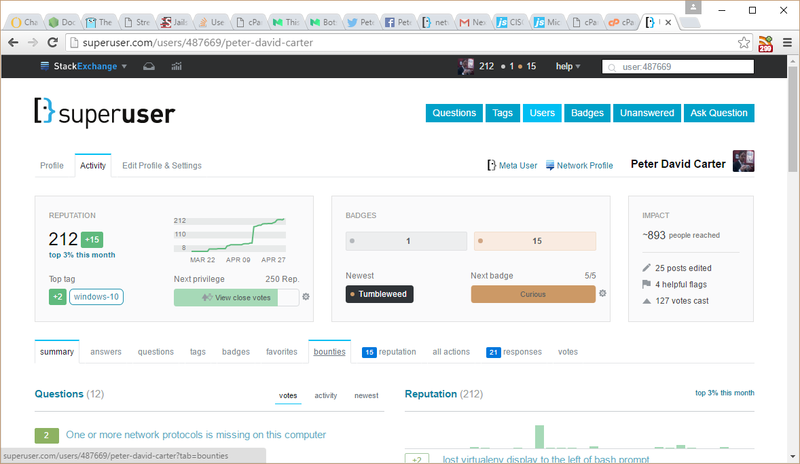 I see lots of zeros, and negative votes, and a few deletions.